Old croft houses fascinate me. They all have different extensions and are full of character. 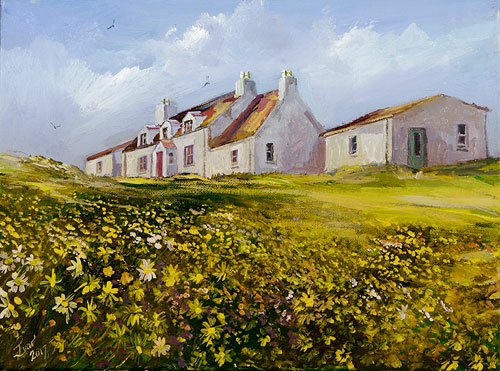 This painting is also inspired by the carpet of stunning wild flowers and fauna to be found in the Hebrides during the Summer months. Carloway is a large village situated on the West Side of Lewis.